The occasional salvos of Western sanctions have finally pierced the thick skin of the Russian bear. What is more, their consequences become increasingly more visible. And there is more: there are signs that, if the current sanctions are extended and the new ones are imposed, the Kremlin can be forced to negotiate (in particular on the issue of Ukraine, which was the reason for the sanctions) or even be toppled. Certain events in Russia as well as signals coming from the senior Russian leadership only give another practical proof of this suggestion. At the World Economic Forum in Davos, US Secretary of State John Keryy touched upon the issue of sanctions against Russia, saying the sanctions had an impact. "Look at Russia today. Make […] an economic analysis of Russia. Not a pretty analysis in terms of the ruble, in terms of debt, in terms of investment in the future, massive numbers of old people, the demographics […] The sanctions worked, and we worked unbelievably hard to keep Europe united around those sanctions. And they have been, and so they didn’t get lifted," he said. Several days before Kerry made these remarks, his boss, US Vice-President Joseph Biden was in Kyiv. He also said that the sanctions imposed by the USA, the EU and G7 should remain in place until Russia returns full control of Crimea to the people of Ukraine. What is more, Biden stood by Ukraine on Donbas: until security conditions are implemented, Kyiv will not take any political steps. "The political agreement cannot be implemented until Russian violence stops. Only after Russia and its proxies in the east fulfill their obligation to end the fighting and let the Donbas again enjoy peace and security can Ukraine be expected to fulfill its political commitments," the US vice-president said. Until recently, when asked about the effect of sanctions, Russians used to smile and say nonchalantly that it was exactly the opposite: mosquito bites cannot scare the Russian bear. Therefore the sanctions have not had any harmful effect on Russia. However believing what Russians say is the same as having blind trust in a poker player, the game which is based on lying, bluffing and keeping a poker face, to prevent the opponent from learning the true situation. The same applies to sanctions. In fact, it turns out that the occasional salvos of Western sanctions have finally pierced the thick skin of the Russian bear. What is more, their consequences become increasingly more visible. And there is more: there are signs that, if the current sanctions are extended and the new ones are imposed, the Kremlin can be forced to negotiation (in particular on the issue of Ukraine, which was the reason for the sanctions) or even toppled. Certain events in Russia as well as signals coming from the senior Russian leadership only give another practical proof of this suggestion. A short while ago it seemed that the West was about to buckle and lift the sanctions on Russia introduced in response to the Kremlin's war against Ukraine. However in late 2016-early 2017 the issue of sanctions resolved not to the benefit of Russia: Kyiv made sure that Europe extends the sanctions by another six months despite Moscow's feverish resistance. However, since the start of 2017, Moscow has launched a new phase of its information campaign, hoping to have the sanctions cancelled in half a year. It relies on the efforts to persuade Europe that the sanctions which Russia imposed in response to the European ones are harmful to EU member states' business. For example, the Austrian Institute of Economic Research (WIFO) published a study on 5 January 2017 which found that 27 EU member states (except for Croatia) incurred the losses of 17.6bn euros and 400,000 jobs. These findings, which are far from reality, were immediately used by Russia to mount information pressure on the EU. 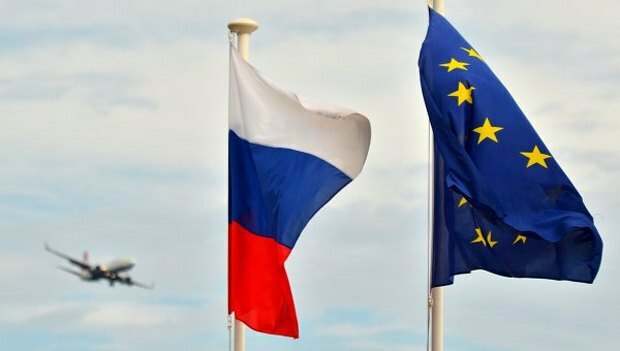 The EU's reaction was snap: the European Commission said that the sanctions imposed on some sectors of the Russian economy have a minimal impact on the economies of EU member states. 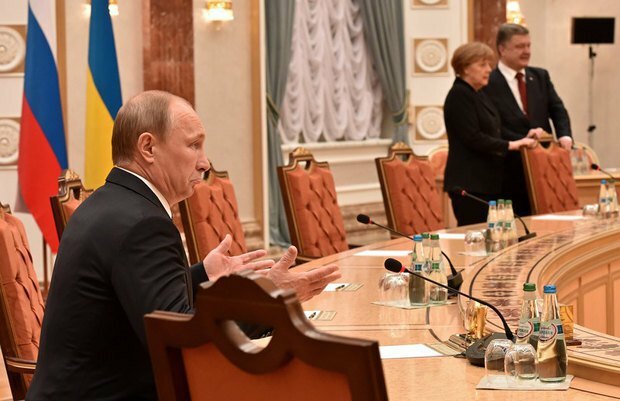 And these restrictions will further remain in place until Russia fully implements the Minsk agreements. The European Commission said the estimates were comprehensive, based on official reports filed by the member states and thus objective. With this statement the EU quashed the propaganda wave sent by Russia for a while. However the Kremlin is unlikely to stop at this and we should be expecting similar "studies" to appear in other EU countries. The USA is giving Russia no less hard time. 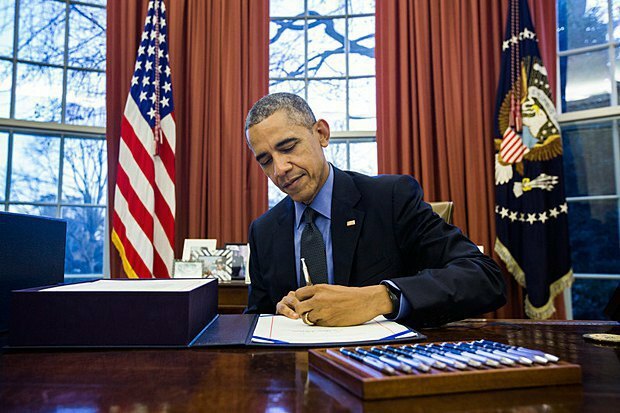 As it was reported, by the end of his presidential tenure Barack Obama extended the sanctions on Russia, which were introduced in response to the annexation of Crimea in March 2014, not even by six months the way the EU did but by one year (until 6 March 2018). The "Ukrainian package" sanctions may soon be expanded to include an American component which has to do with Russia's interference in the US internal affairs, in particular in the presidential election. These intentions to roll out these "comprehensive" anti-Russian sanctions made Moscow seriously concerned. If adopted, these restrictions will target the entire Russian energy sector, which means yet another blow to the economy. Nothing to laugh about: sanctions can include a ban on investments and equipment supply to Russia's core oil and gas sector, participation in the privatization of Russia's state-owned assets, as well as the sale and purchase of the Russian sovereign debt. Former Russian Prime Minister Mikhail Kasyanov said that Western investors still consider it most profitable to invest in oil and gas extraction in Russia despite the unfavourable investment climate. Now foreign companies will not risk their capitals for fear of being hit by extended sanctions. In a while, the introduction of sanctions will create synergy, which would limit the opportunities for the development of the Russian oil and gas sector (in terms of accumulating stock, extraction, supporting the level of profits and budget receipts from hydrocarbons). Especially considering the fact that hydrocarbon exploration at the Russian shelf has practically stopped starting from 2014. Russian oil extraction can dwindle at a fast pace, down to 10 per cent, after 2020. A ban on trading with Russia's debts is a serious risk to the Russian government's capacity to finance the deficit of the federal budget and the rapidly growing deficit of regional and local budgets. State-owned companies also find themselves unable to raise loans to finance their investment projects and operations. What is more, the bill prohibits investors from taking part in the privatization of Russian enterprises. This means that this source of covering the budget deficit (as well as budget deficits of a number of regions) also becomes unavailable, according to former Russian Economic Development Minister Andrey Nechaev. And although formally the law only applies to US companies, the experience of implementing the first wave of sanctions shows that no banks or industrial companies are willing to quarrel with Americans over cooperation with today's Russia. 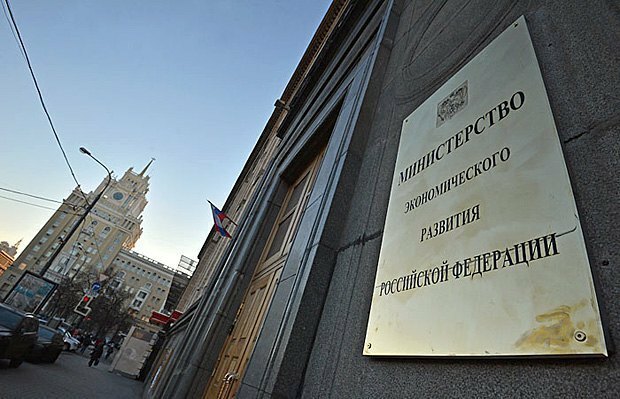 From now on it will not be possible to log a transfer of Russia's own money through foreign funds or companies to imitate its capacity to raise foreign money the way it recently happened during the privatization of Rosneft. Regardless of the sweet talk by President-elect Donald Trump, it is highly unrealistic that the USA will cancel its sanctions on Russia any time soon. Before the Davos forum, Trump's adviser for communication with the business community, Anthony Scaramucci, said in an interview with the Russian government news agency TASS that "the sanctions had in some ways an opposite effect because of Russian culture." 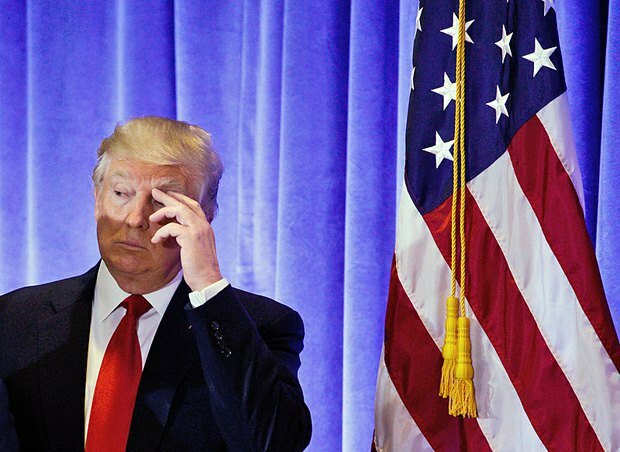 First, hopes for the Trump administration being loyal to the Kremlin have not been put to test in practical terms yet. Second, the sanctions are likely to be run through the Congress to keep Trump from the temptation to cancel the sanctions: if the Kremlin has compromising information about this US president, or because Trump could have been recruited by the Russian special services, as politicians in Moscow say. Or just out of stupidity. Trump, for his part, has already promised that he will seek to lift sanctions on Russia in exchange for its nuclear disarmament. It is certainly a noble intention, though the one which has little chance of being implemented because the nuclear "bludgeon" is the Kremlin's only remaining tool for blackmailing the world and thus it is hardy to drop it. Trump's adviser Scaramucci essentially admitted that Washington would not deprive itself of a chance to use sanctions for its future bargaining with Moscow: "Long-term sanctions could be painful had they been effective in other areas. In other nations the answer is yes, or otherwise they wouldn't be using them." Restricted access to foreign financial markets is certainly the most sensitive Western sanction. Starting from the end of 2014, the Russian economy has been in deep recession, in particular due to the sanctions which keep Russia from ensuring a pre-war level of currency influx. Flanked by cheap oil, this results in the economic downturn. Another former Russian minister and current leader of the Democratic Choice party, Vladimir Milov, shared the following statistics on funds available to the Russian state. According to him, as of 1 January, the Reserve Fund had as little as 970bn roubles, the authorities spent over a trillion in a month. 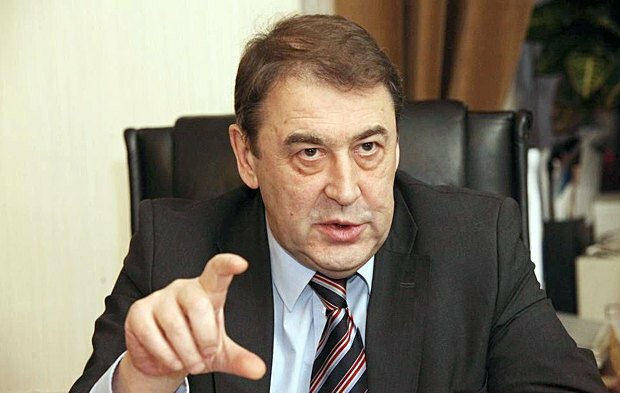 The National Welfare Fund has 2,800bn roubles in its liquid part (reference to minister Siluanov's statement). The budget deficit is 2,750bn roubles, according to the law on the 2017 budget. Another proof of Russia running out of money was provided by the World Bank which said that Russia does not have enough money to deliver on its social contract. The authors of the report said that Russians' expectations for the state had grown stronger. In particular, the public expects the authorities to guarantee free healthcare and education, and cheap utility services. However, the World Bank believes Russia has nothing to be able to meet these expectations. And even Russia's own Economics Ministry predicted 20 years of stagnation for its homeland. 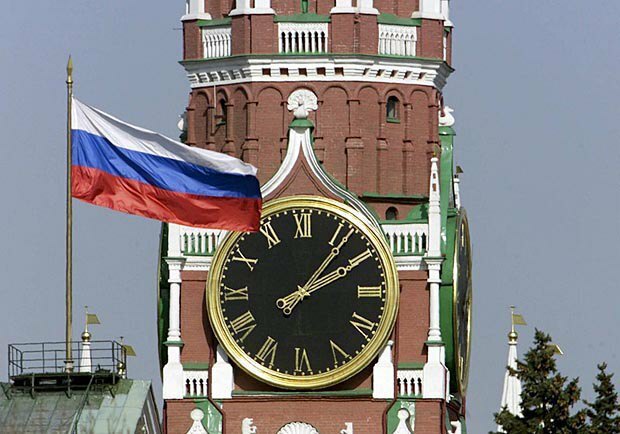 In particular, according to its long-term social and economic forecast, the Russian economy will show a very slow growth in the coming 20 years, on the average of 2 per cent a year. And this version of the forecast, called "basic plus" (one out of three versions), is not the worst one. Understanding perhaps that they cannot allow the sanctions to continue because of their consequences for Russia, its authorities lightened their aggressive rhetoric and even started sending signals that they are ready to negotiate. The Finance Ministry said that Russia was planning to raise the issue of the EBRD restoring its full-scale operation there. First Deputy Prime Minister Igor Shuvalov went as far as to say that Russian countersanctions can be cancelled on 31 December, provided there is a thaw in relations with the West. The EU sanctions on the Russian economy have mostly been taking their toll on the regions. Even the wealthiest Russian subjects have been hit by money deficit because Moscow has started "milking" them the most. So in addition to alarming signals, they now openly express their disappointment. The first to complain about lower subsidies from Moscow (not the first time) was Chechnya, but in this case Putin personally intervened and instructed a revision of the decision. 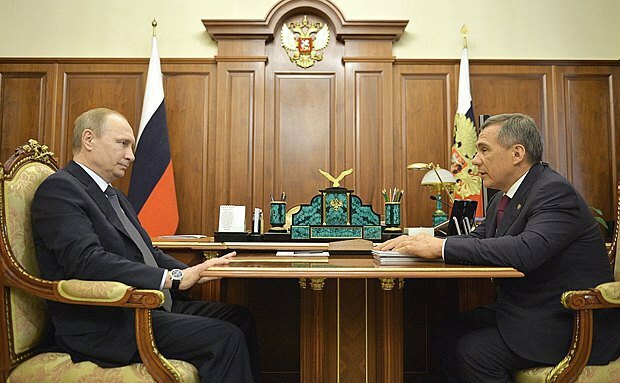 The next to "rebel" was Tatarstan: its President Rustam Minnikhanov addressed the republic's State Council with a speech in which he sharply criticized the budget policy of the centre. It is noteworthy that his speech at the Gaydar Economic Forum in Moscow was in fact well received by all other governors taking part in the discussion. He recalled how the Soviet and then Russian centres lost the traditional Moscow function of distributing money among the regions and how the role of regional leaders has become much more important. It was then that first Russian President Boris Yeltsin told Minnikhanov's predecessor Mintimer Shaymiyev his famous phrase "take as much sovereignty as you can". And since there is no money, Russia's integrity is in danger. Even Putin's long-time ally, former finance minister and current chairman of the Centre for Strategic Research, Aleksey Kudrin, no longer makes a secret out of it. "It is a threat to the sovereignty of the state if we fail to become a technological state. I'm prepared to say that technological challenges for our country are bigger than geopolitical barriers," he said. Social instability in Russia's regions, which is based on the lack of funds in the state budget and consecutively the growth of protest sentiments, will only grow continuously. Even now scanty reports are trickling in about such cases as long-haul truckers' protests, police cordons put up around cities and efforts to block the protesters to prevent them from going to Moscow, and protests against higher utility tariffs in various regions. And even reports about children taken away from families which had unpaid gas and energy bills. However, it should be pointed out that there is no talk of slashing the war budget (with regard to Syria and Ukraine) or the cost of the repressive apparatus. The Russian authorities, no matter how much they ignore the growing social tension, are in fact perfectly aware of the dangerous potential of the situation. But they are going to fight it their own way, "Cheka-style". For example, the bill passed by the Russian State Duma says that motorcades are the same as rallies while tent camps are the same as pickets. In all border regions (especially those bordering on "unreliable" states), the special services are now hunting for "foreign agents" and internal "extremists", which later get jailed for simple clicks/reposts on the Internet. And the apex of their creativity is the Russian Guard set up by Putin's security chief: a strong internal army to suppress any possible anger on the part of its own people. Thus Russians are already paying for the military gamble of its own leadership against Ukraine. And they will pay an even higher price because the sanctions on Russia must stay in place until the Kremlin restores the territorial integrity of Ukraine by returning it Donbas and Crimea.